I always approach the end of the year with a mixture of excitement of trepidation. On one hand, it's Thanksgiving! Christmas! I get to go home and spend two whole weeks with my family! On the other, one whole year just whooshed by and another is looming. Seriousness aside, the holidays are a great time for beauty lovers! As you probably know, the Sephora VIB/VIB Rouge sale is well underway and there are excellent holiday-only sets to be purchased. Now, I have been on a beauty cleanse for over six months now (my last actual beauty purchase was the Dior Addict Fluid Stick in April), and while my mind knows I clearly do not need more stuff, my heart says gimme gimme gimme. For example, this Benefit Box O' Blushes. I already own Coralista and Dandelion separately, and I've never wanted any of the other shades even after swatching them countless times. What is it about putting them together in a cute bigger box (that's probably even less travel friendly) that makes them so much more appealing? I've been thinking about this for weeks. And then, yesterday while walking through Macy's to pass time, I paused by the Jo Malone counter. My eyes were involuntarily drawn to the boxes of holiday gift sets stacked up at the corner and I slunk over for a closer look (instead of joining my friend, who dutifully sniffed at scents). 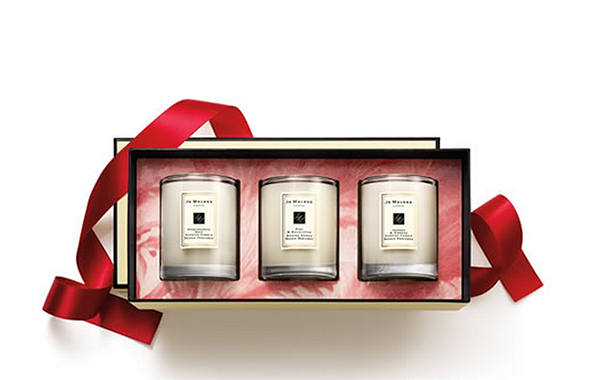 Again, rationally I know that these candles are not my cup of tea (too incense-y), but because they're wrapped up in a pretty box with a pretty bow, I want them. Don't get me started on advent calendars. Just a couple months ago, I gave away over 50% of my nail polish collection in an effort to downsize for my move. I was feeling pretty great about myself. My friends had new polishes to play with (and liked me a lot more) and I had more space in my room. And yet I did not hesitate to say I wanted one of these Ciaté Mini Mani Manor Advent Calendars. Is it the box again? Is it the perception of great value? What is it about giving me 24 random shades that makes this all the more enticing? 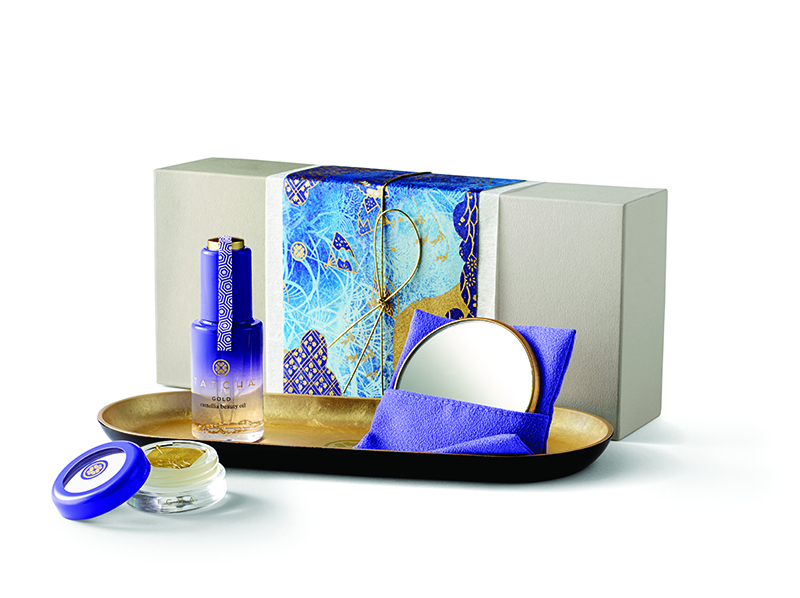 Lastly, Tatcha just unveiled nine holiday sets for easy gifting. They range from über luxe (the Kaiseki Complete Travel-Sized Assortment) to very simple and functional (the Kokoro Indigo Travel Duo). The two sets I'm most tempted by are pictured here (top: Nagomi Luminosity Set, bottom: Miyabi Golden Glow Beauty Set). Both feature some of my absolute must-have products from the brand, and the Miyabi set comes with the extra Obon tray and mirror, which I unabashedly covet. At time of writing, a few of the Tatcha sets are already down to single digit stock, so if you want them, better scoot on over now! They're all exclusively available at tatcha.com. That said, if you've always wanted to try out Tatcha but have been hesitant because of price, it delights me to inform you that their annual Friends & Family sale will commence November 28 through December 8. It's a once in a year opportunity and everything will be 20% off with code FF2014. These sets will probably be long gone by then, but you will still be able to purchase individual products! What holiday sets have you been eyeing/have already purchased? I can't be the only one!